Bede Gaming is, first and foremost, a bingo game software provider. However, with the company’s rapid growth and increasing demand for their first-rate products, they are now providers of a sophisticated gaming platform along with their own titles of slots, table games, keno offerings on top of bingo games. 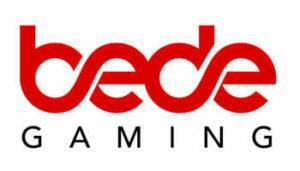 The Bede Gaming software platform, Bede Hub, is extremely powerful and flexible, allowing casino operators to easily integrate not just Bede games but also popular third-party titles including land-based systems. This is perhaps the main reason for the company’s expanding popularity which doesn’t seem to be slowing down any time soon. Crown Bingo launched way back in 2005 on Virtue Fusion bingo software. In March 2017 the site swapped to the newer Bede platform and so offered players a different selection of games and promotions. The site prides itself on being very easy to play, safe and secure with a friendly and welcoming community. Add this to quick and reliable payouts and a good customer support team and you already have a great bingo experience lined up. Navigation is simple, thanks to all of the useful tabs on display. Newbies won’t have problems finding what they’re looking for here. Now, the welcome page shows you the latest welcome offer and various games for you to play. *New players only. 18+. 100% first deposit match up to £50. 4x wagering on bonus. Only available on bingo. Minimum deposit £10. 30-day expiry. Full Ts&Cs apply. BeGambleAware.org. Bingo Stars opened in June 2013 and caused a stir immediately as it introduced bingo on a new platform. The new Bede software was tried and tested on a free bingo basis before moving to pay to play, so players get a polished finished product to enjoy. At the end of 2017 the site got a brand new look and even changed its logo to bring it bang up to date. You can play the majority of the slots and instant games available in demo mode. This allows you to test the games before wagering any of your cash, it’s a good way of finding out how the games are played and whether you like them or not. Titles featured include Fireworks, Rainbow Riches, Golden Knight and many more. *New players only. 18+. 100% first deposit bingo bonus up to £50. 4x wagering on bingo bonus. Only available on bingo. Minimum deposit £10. 30 day expiry. Full Ts&Cs apply. BeGambleAware.org. Castle Jackpot Bingo is the partner site to popular slots and casino site Castle Jackpot. The bingo site opened in June 2017 and came to prominence by sponsoring Big Brother on Channel 5 that summer. However, closer inspection shows that the bingo platform has been incorporated into the main Castle Jackpot site, so if you are already a member there you will not be able to join again. Running on the Bede Bingo platform the games are tried and tested and if you have played at other Bede sites on the IP&S network you will be familiar with the layout. * New players only. 18+. Bonuses are for casino, not bingo. No deposit offer: 99x wagering target. £5 max stake with bonus. £50 max withdrawal for non-depositors. 7 day expiry. Not all games contribute. 100% first deposit match up to £100. Minimum deposit £10. 40x wagering requirement on bonus. Full Ts&Cs apply. BeGambleAware.org. Bede Gaming is the brainchild of three iGaming industry veterans who were fed up with how difficult it was for legacy providers to quickly customise their platform for the specific needs of an operator. These three founders boast solid work experiences from huge brands including Playtech, Dragonfish, and OpenBet, so they know what they are talking about. Therefore, they pooled their extensive knowledge and talent together and established Bede Gaming in 2011. Until today, the heart of the company provides a powerful and easily customisable platform for casino and bingo operators to deliver a tailor-made experience for players. The Bede Gaming bingo operation is exceptional, offering a sleek interface along with innovative promotional and marketing features too. Thus, it has been recognised with countless awards including the “Bingo Supplier of the Year” at the 2016 EGR B2B Awards and won the “Innovation in Bingo” title at the 2014 eGaming Operator Marketing Awards. The company shows no signs of slowing down and was named the 76th fastest growing private technology company in the UK in the 2017 Sunday Times Tech Track 100 league table. A heavily regulated and highly certified company – Bede Gaming is licensed and regulated by one of the strictest betting authorities around: the UK Gambling Commission. Not only that, but it’s also licensed by the Alderney Gambling Commission and is one of the few online gaming operators in the world who holds a valid ISO 27001 certification. Cross-device bingo games – All Bede Gaming bingo titles are built on the powerful HTML5 platform which grants accessibility to players using all mobile devices including those running on Android, Windows, or iOS operating systems. Innovative and customer-focused – The Bede Gaming software is created to allow for immense flexibility to give operators total freedom in choosing what they want to incorporate in their services. This includes offering responsive bingo games available in a range of variants which can be played for free or with real money. Relatively small games portfolio – There are a limited number of Bede games to choose from. Proprietary games still not as widely available – Although many operators have already chosen to implement the Bede Gaming platform, Bede games are still not as widely available as other bigger providers like Dragon Fish or Cozy Games. Because the company is born out of frustrations from established gaming software that aren’t flexible enough or can’t offer the speed to market as operators would like, Bede Gaming’s core competency is its innovative software platform offerings. Instead of trying to compete with huge companies that could dish out new titles every month, this medium-sized Newcastle-based developer has found their unique competitive edge. With the Bede Gaming software platform, security is guaranteed with the number of highly respected licenses and certificates that the company holds. Although their proprietary games portfolio isn’t as wide nor as varied as what legacy providers offer, their software lets operators easily integrate titles by other developers to offer a comprehensive collection of games to players. Bede Hub provides a high level of control and adaptability to their customers which is something very different from how veteran companies operate. In the dynamic and competitive market of online gaming, only those who are prepared to change can survive and flourish, shaping the future like what Bede Gaming is doing.